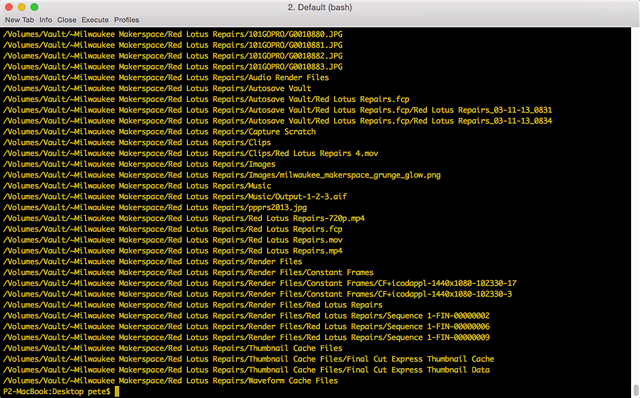 But it seems the world has changed in the last ten years, and now I can deal with “dot underbar” (the proper name) using dot_clean, which is built into Mac OS X. I’ll also be using dot_clean on DOS formatted thumb drives and SD cards that are going into other operating systems. 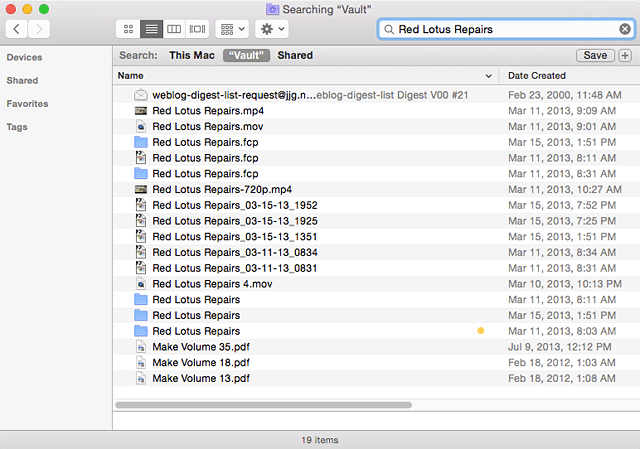 Since there will be a point in the future when I upgrade all my Macs to Lion, I figured I should start getting ready, and in order to get ready, I usually need to upgrade my virtualization software. 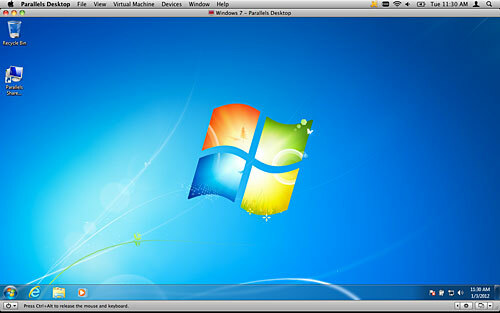 I use VMWare Fusion as well as Parallels Desktop on my Macs. My main use of Windows is for browser testing, though now that I spend time at the Milwaukee Makerspace I also use a few Windows-only applications like CamBam. My VMs were all running Windows XP, so I figured that it was time to move up to Windows 7, and my old pal Larry Clarkin suggested that I’d like it much better than Windows XP. So in the interest of science (?) I figured I’d review Windows 7. OK, here’s the deal: I don’t like Windows. Maybe the interface is customizable, maybe you can skin it, or theme it, or whatever, but I find the default user interface just plain ugly. 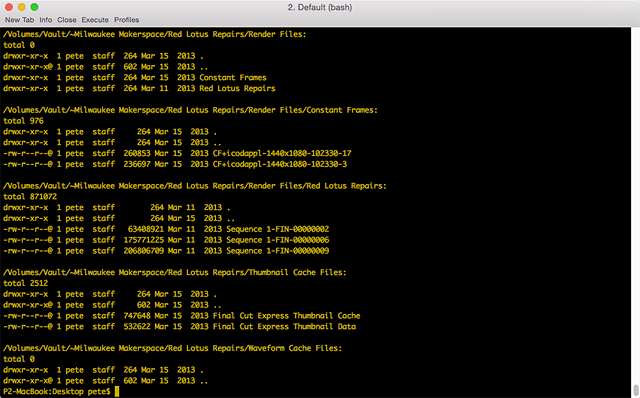 I’m a Mac user, and I’ve gotten used to a good looking operating system. I’m a Linux user, but I tend to use the command line mostly, but even when I did use Linux on the desktop, it looked better than Windows. I mean, Linux isn’t UNIX, but it’s close. Mac OS X is UNIX, or at least it’s very close to being UNIX, depending on who you ask. Windows 7 isn’t UNIX, and I find that annoying. 90% of the time I’m using a Mac I’ve got iTerm running, and I either using it on the local machine, or ssh’d into another Mac or a Linux server. Windows has little value to me. Now that I need to use Windows-only software like CamBam, I may end up using Windows 7 more than I used Windows XP, but it’s still just a matter of being forced to use Windows because there isn’t a Mac OS X version of a specific application. There is no joy in Mudville. So ultimately, Windows 7 may be awesome if you’re a Windows user, but as a long time non-Windows user, it doesn’t entice me, and my primary use is in situations where I can’t use Mac OS X. But remember, this is just my opinion, and my point of view. I know dozens of people use Windows every day and tolerate it, and some even enjoy it. Kudos to them! We also put video content onto the jump drive. I had a sample someone had given me from a company they used to do business with, and while it worked fine on my Mac, Windows was a no-go. Windows XP was the test platform, without QuickTime installed. 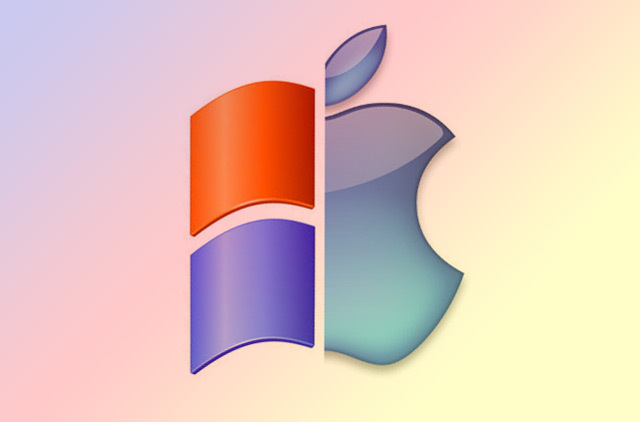 Now, granted, lots of Windows machines would have QuickTime if iTunes were installed, and iTunes is installed on a lot of Windows machines, but locked-down corporate PC’s may not fit in that category. 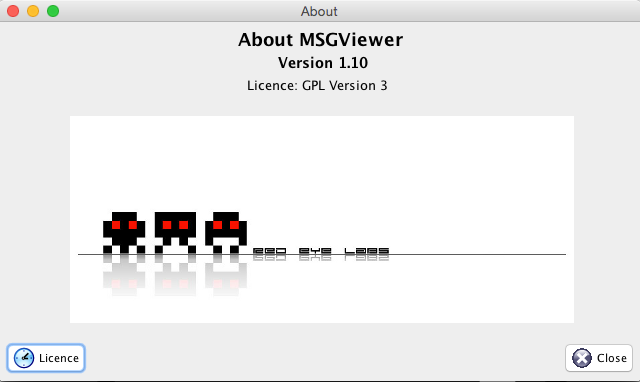 So, we wanted to create a video that would be playable on Windows without QuickTime installed. And, we’re a Mac shop, so we wanted to do this all on a Mac. 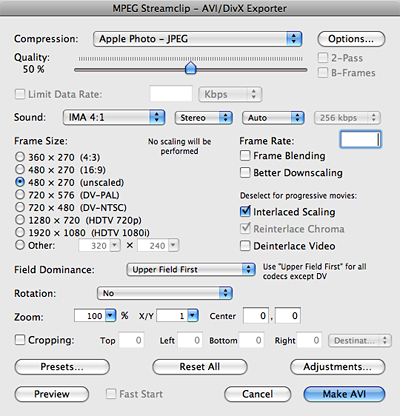 We ended up exporting the video from Final Cut Pro, and then using MPEG Streamclip to create an AVI file, using the settings you see in the screen shot below. It worked well, and testing with various Windows VM’s seemed successful, with the videos playing fine where QuickTime was not installed. So for now, this is my solutions. Unless someone has a better one.